No matter who you are, staying married is hard, but according to reports based on US Census data, certain fields are even harder on a couple’s ability to stay married than others. The survey reveals that career paths and income levels both have a relationship to divorce rates. Read on to learn more. Nathan Yau, a statistician and reporter for the website Flowing Data, looked at the rate of divorce among the approximately 500 professions included in the US Census Bureau’s 5-Year American Community Survey. Yau determined the divorce rate for each field to examine whether there was a greater likelihood of divorce for members of certain fields. Additionally, he calculated whether there was a relationship between average income and divorce rate. According to Yau’s calculations, the two careers with the highest average divorce rates are bartenders and gaming managers in casinos. Each of those careers has a divorce rate of nearly 53%. Flight attendants also had high divorce rates, with about 51% experiencing divorce. About half of all telemarketers reported having been divorced, as well as 47% of dancers and choreographers, 47% of licensed practical or vocational nurses, and 48% of massage therapists. The data showed that workers in fields involving travel or nightlife tended to have the highest divorce rates, due to the time away from home, odd hours, and shift work involved in these professions. The statistics revealed that, in general, workers in lower-earning fields had substantially higher divorce rates. The average rate of divorce tended to increase as average wages in a field decreased. On the other end of the spectrum are fields involving the sciences, where divorce rates tend to be much lower. Actuaries, for example, make a living from calculating risk for insurance companies. Members of this profession were found to have the lowest divorce rate, with only 17% having been through a divorce. Other fields with low divorce rates included physical scientists (19%), members of the clergy (20%), physical therapists (21%), physicians (22%), and dentists (23%). 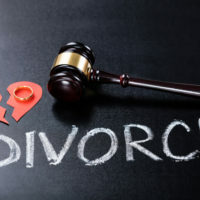 If you’re a New Jersey resident who is considering divorce and is in need of informed and effective legal advice, contact the knowledgeable Union family law attorney John B. D’Alessandro for a consultation, at 908-964-0102.